Nike Metcon fans and lovers, you’re in luck. In an announcement made earlier today, Nike disclosed that they’d be releasing their next Nike Metcon model in the very near future. This model takes form as the Nike Free X Metcon, which is said to be a blend of Nike’s popular Free shoes and the Nike Metcon. 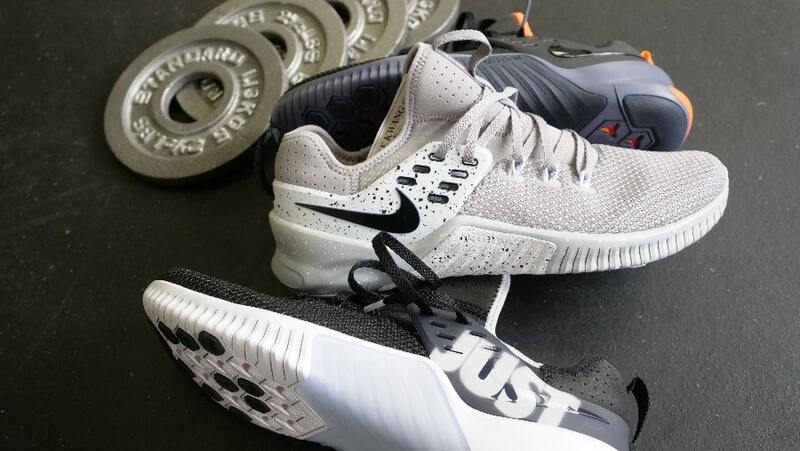 Two weeks ago, Nike sent us a few models of these shoes and we’ve included in-depth first look photographs below, along with the shoe’s specs and our thoughts on how they compare to the current Metcon models. For starters, this shoe appears to feature construction similarities to the current Nike Free models, but tries to provide the Metcon’s durability and stability. The Free models are designed to provide a comfortable shoe that can be worn all day, which is an area where some users say the Metcon comes up short. On the outside of the shoe is a TPU-faced mesh, which wraps from the mid to forefoot. This mesh is lightweight and pretty breathable, I thought it was flexible and maneuverable, but slightly more rigid than Flyknit material. The TPU-faced mesh is said to be resilient to things like rope climbs and early wear and tear. Also, it’s worth pointing out on this model that the toe is slightly different. There’s a medial side toe clip, and that’s a design feature to support movements like burpees, or other possibly toe dragging movements, which can cause a shoe’s lip to come loose. The heel is slightly different from other Metcon models and doesn’t have the signature heel clip that previous models have offered. 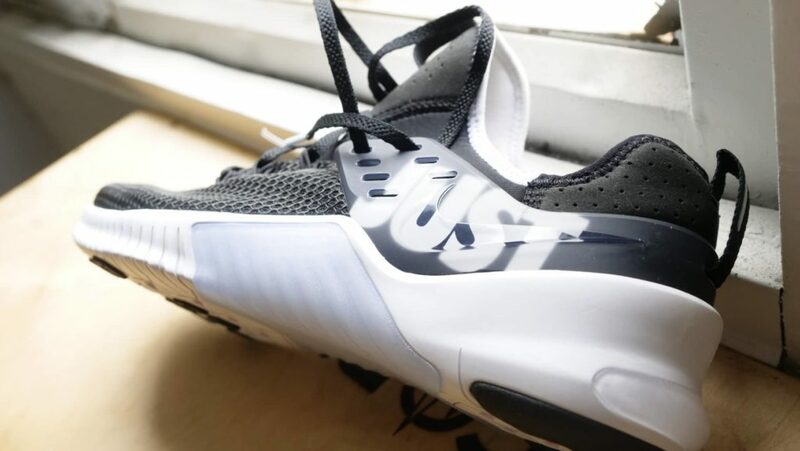 Instead, there’s a lighter plastic that wraps from the mid-foot to completely around the heel. Nike said this feature is to limit drag in movements like wall balls, but I’m still unsure just how supportive it will be in compound movements. The outsole is similar to previous Metcon models and has the lateral and medial texture that extends up the arch of the shoe. For functional fitness athletes, this is usually beneficial for rope climbs and other exercises used to grip things between the legs. 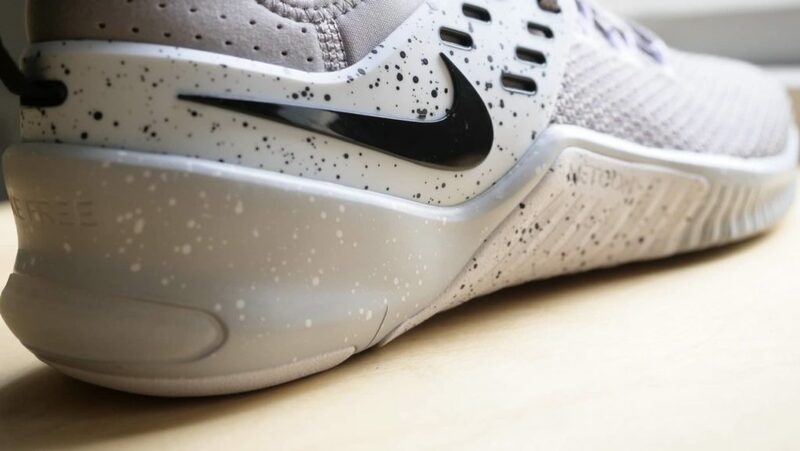 As seen above, there’s also additional rubber and plastic material that extends up further on the heel. Towards the bottom of the shoe, there’s still a harder TPU layer like previous Metcon models. Nike has yet to release the official heel-toe offset for this model, but it feels slightly bigger than the Nike Metcon DSX Flyknit 2s, which makes sense for this shoe’s goal. 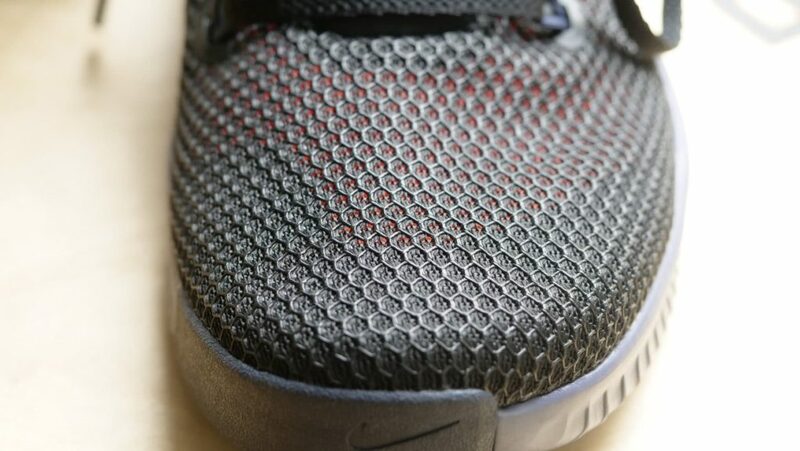 The last difference worth noting for the Nike Free X Metcon is the bottom of the shoe. 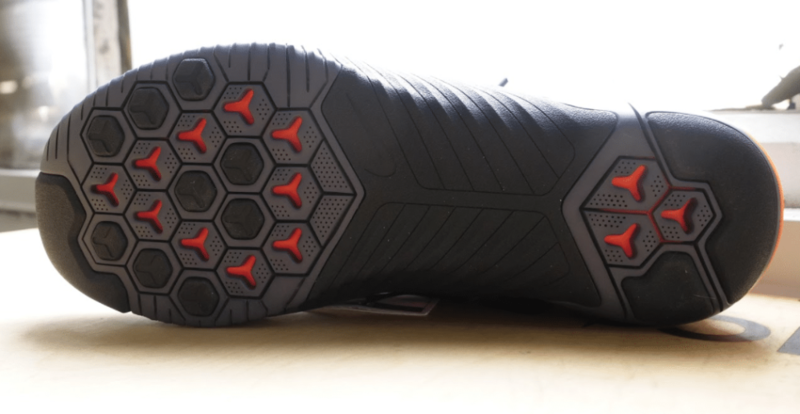 This shoe has a tri-star design on the forefoot and heel. The indented tri-stars are a softer density foam (orange), while the elevated ones are slightly harder (black). Nike has yet to announce how many colorways will be released, or when women’s models will make it to the market. If you’re interested in seeing more of the current three colorways we have, check out the Instagram slideshow below. Curious how this shoe performs in the gym? We’ll be performing and putting together a review of these shoes in the next few weeks, so stay tuned for more information.